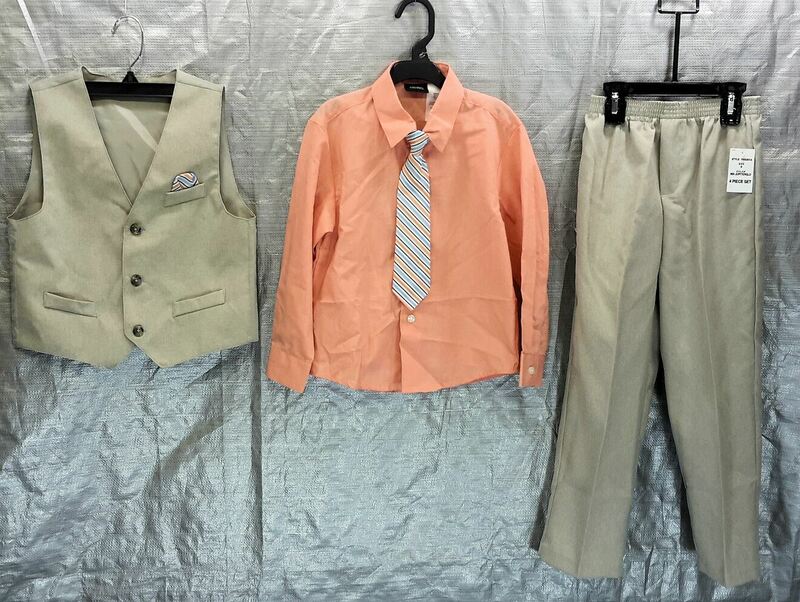 You are purchasing a wholesale lot of assorted brand newchildren's dress clothing for BOYS. This lot contains approx. 90 pieces. The lot contains 17 complete sets (pants, shirts, ties, vests), 8 extra packaged shirts with ties, 10 extra pants, 2 extra ties and vests. The brands included in this lot are mainly Holiday Editions. Click the button below to add the Wholesale Lot of 90 Children Boy Dress Clothing Pieces Pants Shirts Vests Ties Brand New to your wish list.